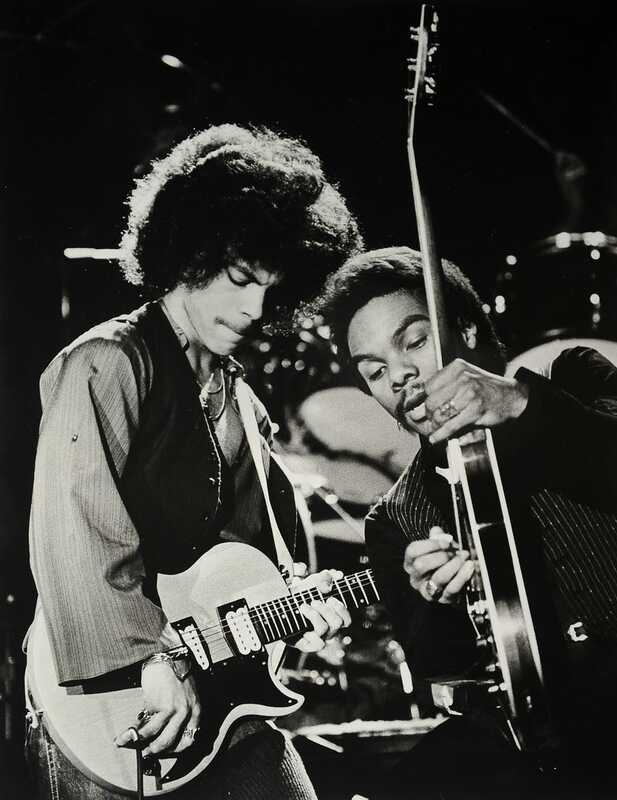 Prince is shown in concert with guitarist Dez Dickerson on Jan. 5, 1979, during his first public concert at the Capri Theater in Minneapolis. Prince's family is gearing up for a huge tribute concert to be held in Minneapolis in October. The family issued a statement to the Associated Press and gave a concert date of Oct. 13 at the U.S. Bank Stadium. "We are excited for the opportunity to bring everyone together for the official family celebration of Prince's life, music and legacy, and there is no better place to do it than his hometown of Minneapolis," the statement read. "We are honored by the artists who will pay tribute and grateful to those that have worked so hard to make this celebration possible." So far, performers have not been announced, but tickets go on sale in August.